If you are looking for somewhere to have your child’s birthday party, or just want to take them someone to release energy and have fun, then your kids will love Pump It Up. The company has existed since 2000, and they have perfected their clean, safe, and climate controlled environment to ensure a good time. Brings your kids for Open Jump times and other special events where they will be able to jump on 6 different, massive inflatables in 2 different arenas. The friendly and helpful staff will ensure safety and guide your kids from one inflatable to the next. Better still, the cost is only $9.95 per child – making this both fun and affordable. Children must be 34″ tall to play, must wear socks, and have a signed waiver. Check out their calendar to see open jump dates and times and the openings for private parties and tours. Contact Pump It Up directly by calling (610) 918-9180. They are located at 540 East Union Street in nearby West Chester, Pennsylvania. 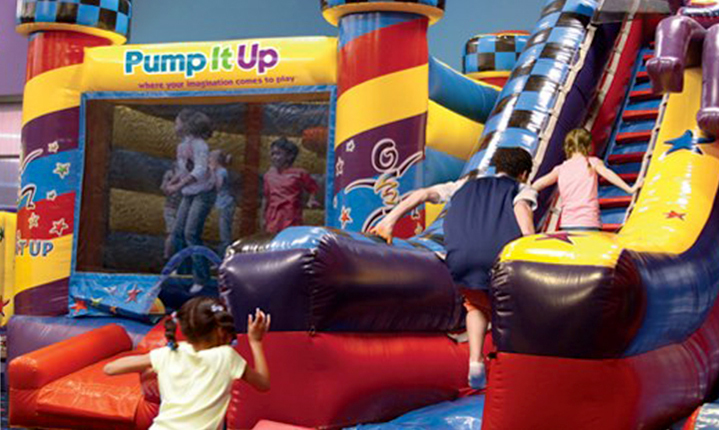 For inquiries via email send question to pa.westchester@pumpitupparty.com.